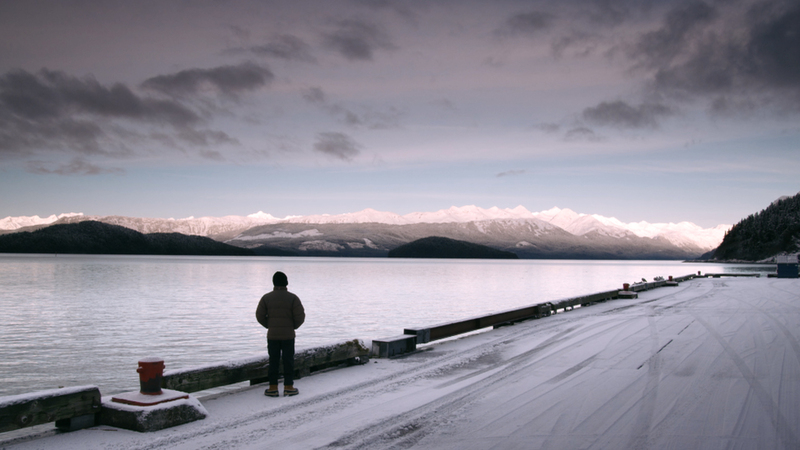 Click here to download an interview with John Akomfrah published on the occasion of his exhibition at Carroll / Fletcher, Hauntologies, in 2012. For everyone who enjoyed Pauline Boudry / Renate Lorenz’s Toxic, here’s the a clip of the BBC interview with Jean Genet, which the second part of Toxic restaged, in which Genet dreams that the film crew revolt during the interview. Here’s links to a couple of our favourite redited, mashed-up films – Cornell’s Rose Hobart and Connor’s A Movie. 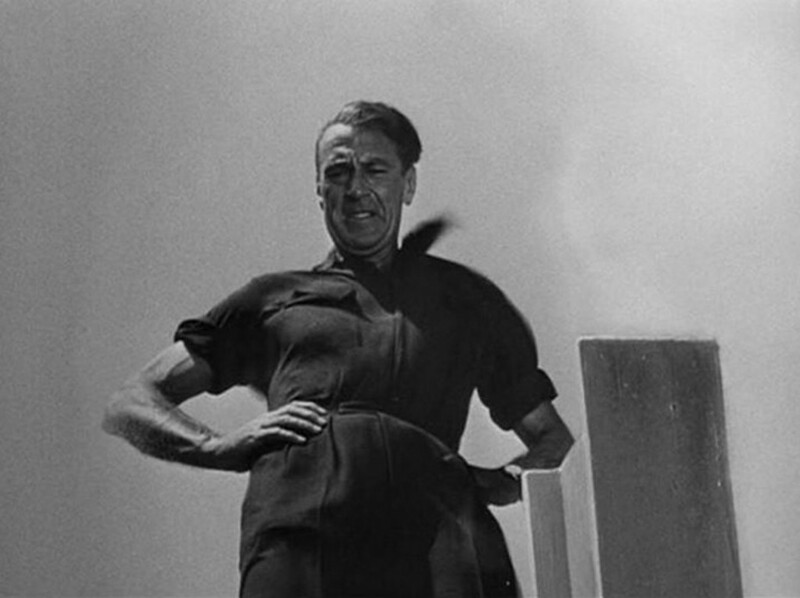 Dali allegedly stormed out of the gallery premiere of Rose Hobart claiming that Cornell had read his mind and stolen the idea. UBU web has a great selection of Cornell’s movies. We’re looking forward to Pauline and Renate’s talk with Irene and Fatima from Electra at 7pm on Wednesday. Tickets are free. Booking essential. There’s a couple of shows that counterpoint the Onscreen season and gallery exhibition, Now Showing. 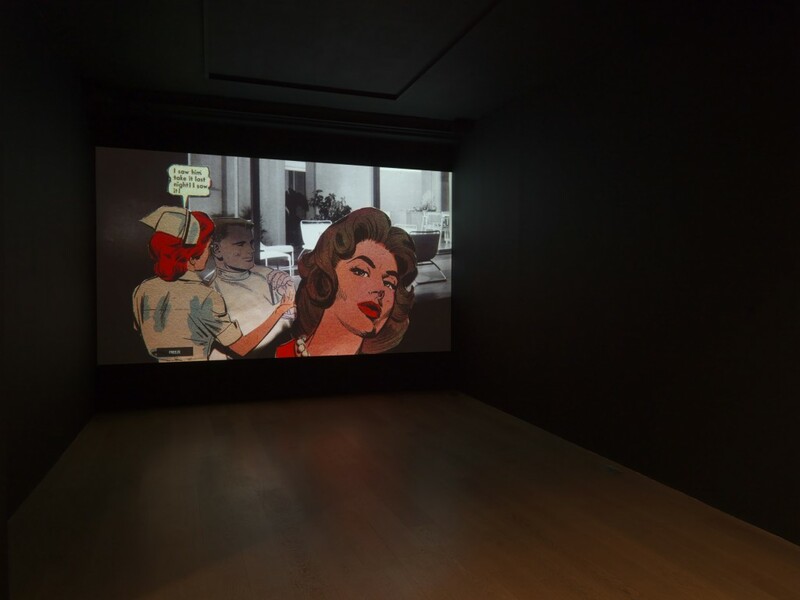 Image: Lewis Klahr, Sixty Six (installation view, Anthony Reynolds Gallery). Image courtesy of the artist and Anthony Reynolds Gallery. In The Head Fountain Warren Garland lays out the segments of King Vidor’s 1949 film, the Fountainhead (adapted from Ayn Rand’s 700-page novel of the same name) in reverse order. As well as an entertaining (and refreshing) diatribe against the iniquities of neo-liberal capitalism, Paul O’Kane’s text (download here), written to accompany the screening of Garland’s film, is an interesting coda to a key theme that runs through Now Showing. O’Kane considers how the restructuring of an existing narrative enables new narratives to emerge, whilst prompting a reconsideration of the ‘original’ and emphasising the importance of context in our reading of a work.